The Carnegie Museum of Natural History is a wonderful place with giant dinosaur fossils, life size animal dioramas, beautiful rocks and minerals, and more. The only thing better than exploring the museum is exploring the museum at night time. 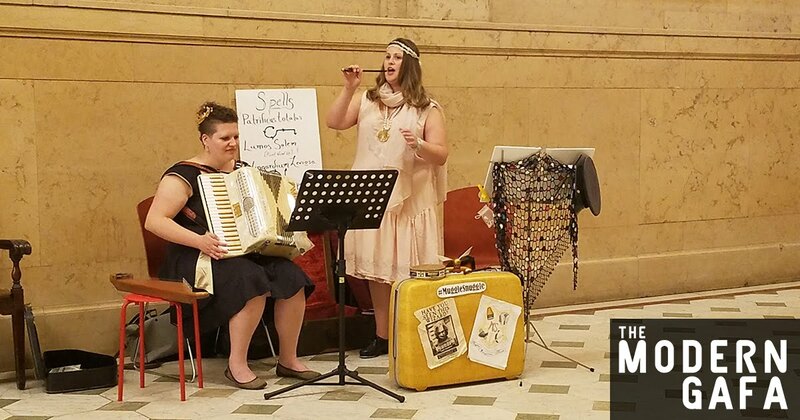 Carnegie After Dark is a series of 21+ events held in the museum after traditional hours with geeky themed events and decor. 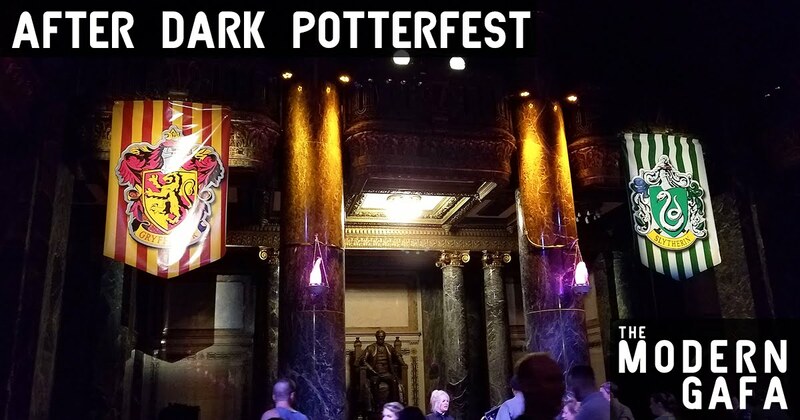 There have been many of these events with themes like Lord of the Rings and Halloween, and we were fortunate enough to attend the Harry Potter themed event, After Dark Potterfest. DISCLAIMER: I was provided complimentary tickets to After Dark Potterfest. Opinions are my own. I was surprisingly mystified by this event. I wasn’t really sure what to expect. It could’ve been just a few cardboard cut outs and music or cheap party decorations. I was blown away when we entered the “Great Hall” and found large House banners and mood lighting and long rows of tables. Up the main stairway there were floating candles! The list of features and events was overwhelming though, it was as jam-packed as a full blown convention. We actually had to pick and choose what we wanted to do because there was so much going on we couldn’t do everything. 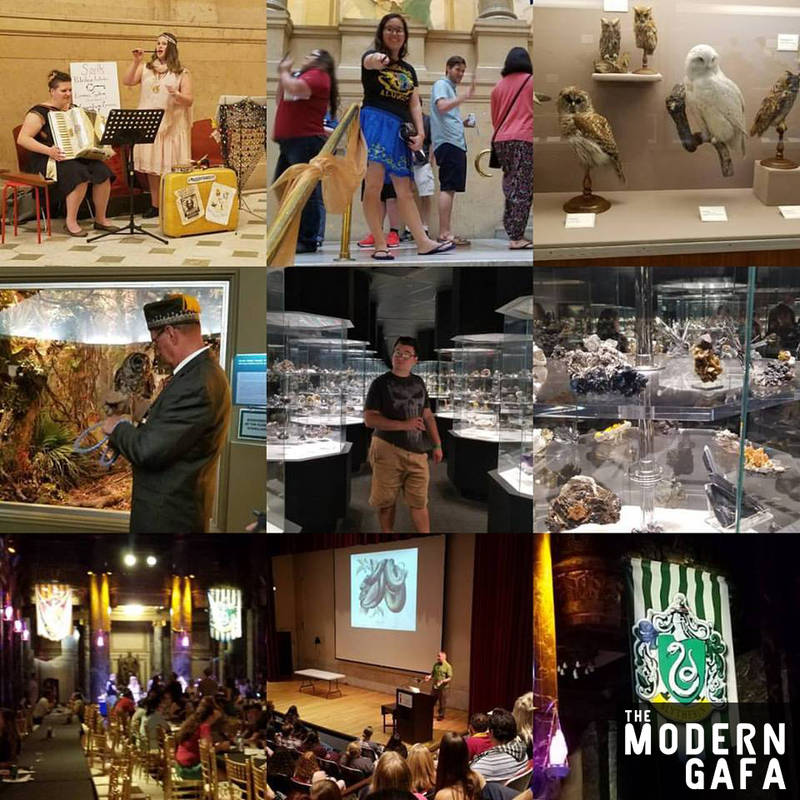 We got to meet live owls, get a lesson on alchemy, see a lecture on real fantastic beasts, and more. We had a great time and would totally do another one. Potterfest wasn’t as awesome as our honeymoon, where we traveled to Orlando and visited the Wizarding World of Harry Potter, but it surprisingly created the same emotions. Katrina was smiling ear to ear the entire time we were there and for just one night we felt like the world of Harry Potter was real.